One third of US adults have low health literacy, the ability to obtain, read, and use healthcare information. These individuals also tend to have low computer literacy, and studies have shown that even the simplest conventional UIs are unusable by this population for finding health information. Developing health education and behavior change interventions for these individuals thus represents a significant HCI challenge. To address this disparity, Dr. Timothy Bickmore and his research team have developed a series of conversational agent-based health counseling systems over the last decade that have been shown to be significantly more acceptable and usable by individuals with low health literacy, compared to more conventional UIs. These conversational agents have been used as virtual nurses, lactation consultants, exercise coaches, and health promotion coaches in over 25 clinical trials with over 4,000 participants. Embodying these conversational agents also provides additional communication channels to convey social and relational cues to users that can be used to establish trust, rapport, and therapeutic alliance with the agents to improve retention in and adherence to automated health interventions. Dr. Bickmore will discuss a number of strategies he has used for enhancing therapeutic alliance with conversational agents, along with studies of their effectiveness. 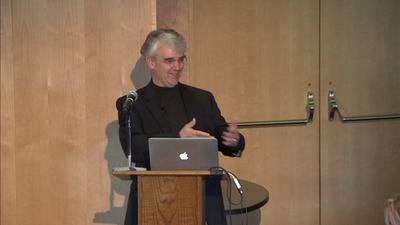 Timothy Bickmore is an associate professor in the College of Computer and Information Science at Northeastern University. Dr. Bickmore's research focus is on the development of Relational Agents: computational artifacts designed to build long-term social-emotional relationships with their users. These agents have been deployed within the context of behavior change interventions in which they are designed to establish working alliance relationships with patients in order to maximize intervention outcomes. Prior to joining Northeastern, he was an assistant professor of medicine at the Boston University School of Medicine. Dr. Bickmore received his PhD from the MIT Media Lab.